You don’t need a Kindle to read this book. You can download Amazon’s free e-reading apps for PCs, Macs, i-Pods and smartphones. So starts Johnnie Johnson’s Philippines travelogue, more a diary of a two-month stay than a guide book. Johnnie found Manila a city of confusing contrasts. But he is off to a rural area of the Luzon region where it’s the beauty of the rice fields which captivate him. 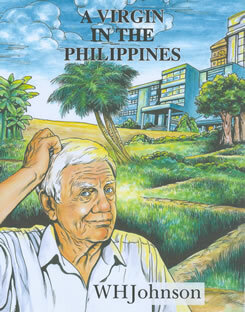 Johnnie spent much of his time at his wife’s home in Papaya, a small town in Nueva Ecija.